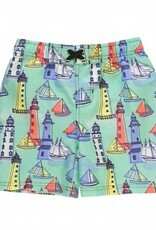 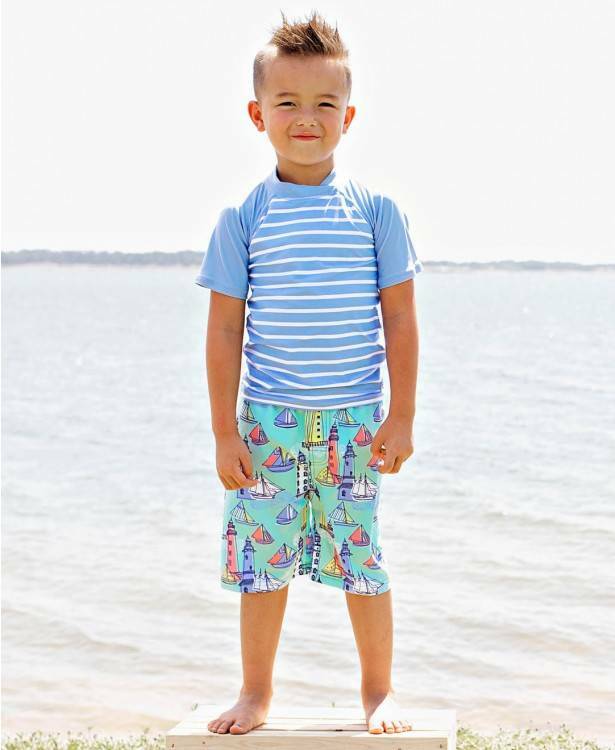 These classy and preppy swim trunks are perfect for any little guy's trip to the beach or pool. 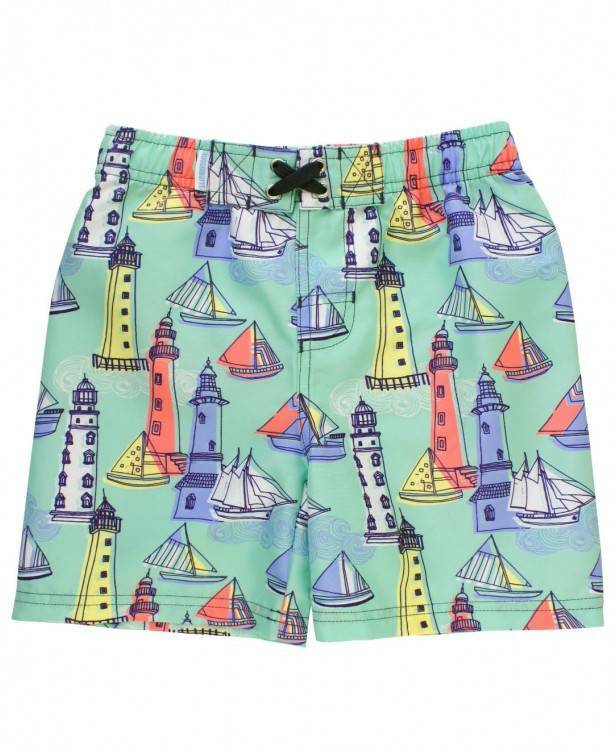 The stretchy waistband and drawstring ensure a comfy and secure fit. 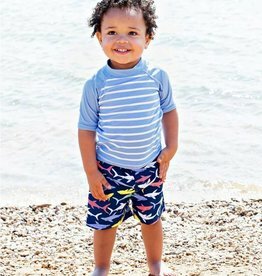 Mix and match with RuggedButts rash guard tops for a complete outfit that's ready to make a splash!